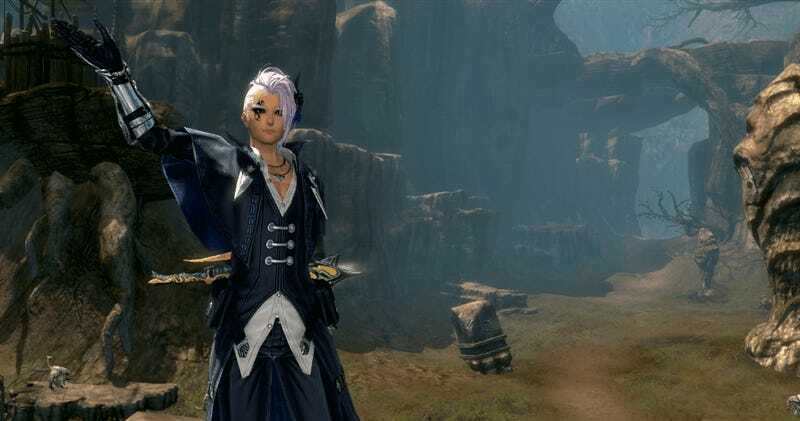 After my first month in NCsoft’s martial arts MMO Blade & Soul I hit a wall. I wasn’t annoyed or frustrated. In fact up to that point I’d been enjoying myself immensely. I was satisfied with what I had played, and felt no need to continue. That’s odd, right? The point of a massively multiplayer online roleplaying game is for players to keep playing, tearing through content while the developers work on fresh adventures to keep them coming back for more. Blade & Soul has plenty of content. Since the game launched in January the developers have added a new character class and launched an expansion pack raising the level cap from 40 to 50. I played that new character class, the Warlock, but only for a few levels to get a feel for how it played. I logged in when the Silverfrost Mountains expansion went live. I killed a few things, enjoying the combo-driven action combat system. I tried on some of the new clothes on offer in the cash shop. I reveled briefly in the movement system, with its gliding and flying and jumping all about. I even stopped by my favorite NPC for a chat. These moments, movements and fleeting remembrances made me happy. And then I was done. My time with Blade & Soul wasn’t also perfect. Rarely did I come across a dungeon group that wanted anything more than to quickly and quietly accomplish their goals and move on. Players in crowded areas fought tooth and nail over monster spawns, making quests requiring killing X number of Y quite frustrating on occasion. I’m still confused about the crafting system, and thinking too much about it gives me a headache. But these are thoughts that only pop up now and then in game, or when I’m summarizing my thoughts and feelings in an article like this one. My usual thoughts on Blade & Soul are warm and pleasant. I think about that dramatic opening sequence, and how I’ve played it over and over again on different characters and never got bored. I think about leaping at enemies, twisting through the air, launching them into the sky only to bring them crashing back down to the earth. I think about Ronsul, my best NPC friend. She only doesn’t care because she cares. I have all of these happy memories of the game. I’m glad I played it. I don’t need to play it anymore. Consider, if you will, the perfect cake. You’re at someone’s house or a restaurant or one of those newfangled caketrains that don’t actually exist but should, and you discover a slice of near-perfection. Just the right amount of frosting, rich but not too rich, moist but not wet—it’s the kind of cake that your mouth was made to eat. It fulfills the cake section of your soul. You could keep eating the cake, slice after slice, until you start feeling a little sick and chewing becomes a chore. Or you could savor that small slice, remember it fondly and know that should you ever want another taste it’s out there somewhere, hopefully not growing mold. I’ve had my slice of Blade & Soul, and for the most part it was delicious. You should really try some.